Whether your A/C is busted or your furnace has started growling, the certified professionals at North NJ HVAC Services are the ones you can depend on to make things right. Our main goal is to make your home as comfortable as possible for as long as possible through quality repairs that last. Year-round, you can count on our HVAC team to deliver high-quality repair services for all of your heating and cooling needs, big or small. At North NJ HVAC Services, we specialize in boiler, heat pump, furnace and air conditioning repair and installation so that your home stays cool in the summertime and toasty in those snowy winter months. Our commitment to our customers is unmatched – you can depend on us to provide the best HVAC services in town quickly, efficiently, and at an affordable price. If you have an emergency, need a furnace repair in freezing weather, our 24/7 emergency service guarantee means we’ll be there in a flash. 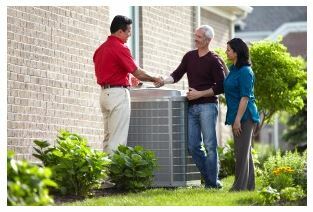 At North NJ HVAC services we are constantly striving to become your heating and cooling repair service of choice. As the new service on the block, we can’t afford anything less than perfect, so we’re working twice as hard as the competition to provide you the best service in town. We hope that you’ll be so highly satisfied with the work of our professional HVAC specialists that you’ll never want to use anyone else ever again! We know there’s nothing more annoying than hidden or unexpected fees, so you won’t have to deal with any of that with us. Your service call is free, and we never charge for overtime. We are completely transparent in our service costs, so you never need to worry about being overcharged. Plus, if you don’t receive service within two hours, it’s on us! Regular maintenance or your air conditioning, heat pump, and other heating systems can actually save you money in the long run. Without regular repairs, minor problems can turn into major problems that require costlier repairs or even complete replacement. Keeping your HVAC systems in good shape can save you from having to empty your wallet for an expensive replacement. Like they say, an ounce of prevention is worth a pound of cure, and regular maintenance can save you heaps. An inefficient air conditioning system may not be an emergency, but it is a drain on your energy bills. If your A/C isn’t working at maximum efficiency, you’ll find yourself having to crank up the air higher than you should to keep your home cool, which uses more energy. North NJ HVAC can have your A/C at peak performance in no time, so you can feel relief from the heat without wasting nearly as much energy. On the other hand, if your furnace, boiler, or heat pump is blowing out cool or lukewarm air, it could be the result of one of a dozen different problems. Because replacing heating systems is especially expensive, it’s important to call our Newark HVAC professionals right away to quickly diagnose and fix the problem before it escalates to something much worse. Just like a faulty air conditioning system, inefficient heating can just as easily contribute to high energy bills. Just because your heating system develops problems in the summer doesn’t mean you should wait until winter to have it fixed – stay on your toes and call the pros before the problem gets out of hand! For All of Your Heating and Cooling Needs, Call Today! Whether it’s an update you’ve been putting off for months, or you need an emergency repair right away, we will be there for you with the best, most reliable service in Newark. Your comfort and satisfaction is our number one priority, and our hardworking team of certified professionals is working around the clock to make sure your home is running as efficiently as it can be. Repair or replacement, day or night, we do it all! 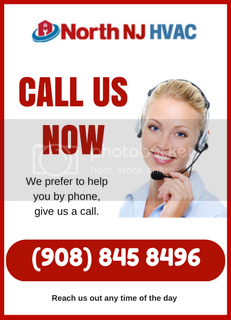 If you suspect a problem with your air conditioning, furnace, boiler, or other systems, don’t hesitate – please call us at (908) 845-8496 as soon as possible!